Documents unfold their full power in digital form. Stored centrally, important business documents are accessible at all time and can be edited promptly in workflows. DocuWare supports you on your way to a paperless office with convenient scanner connections. 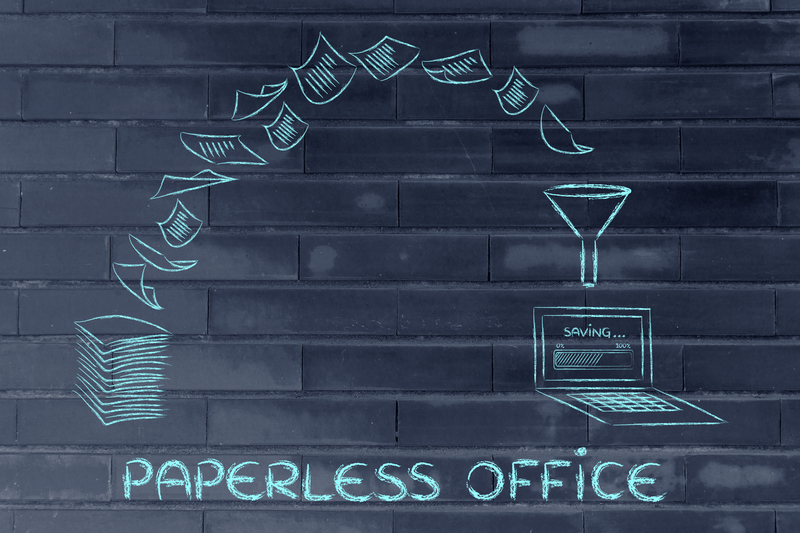 Digitize your paper documents fully automatically. Once securely stored in the archive, documents are seamlessly integrated into digital workflows. Automatically save the scans in DocuWare, either to an archive or to the document tray of an employee in charge. The documents can be edited or stapled in the document tray before archiving. In the archive, they can immediately trigger a workflow. The documents are automatically indexed before archiving. The artificial intelligence of the DocuWare Intelligent Indexing service recognizes the crucial information of a document and turns it into highly structured, usable data as index terms. Use import configurations to determine by yourself which index entries are assigned - whether fixed or dynamic values, or texts from the scanned document. Control resolution, contrast and alignment for scans – DocuWare can do this automatically if you wish. Multifunction peripheral (MFP). A universal office copier with a network interface is used by numerous employees for a wide variety of scanning processes. All different, scanned documents are transferred to the responsible employee via a matched network folder. High speed scanner. Such devices scan several stacks of paper in the shortest time possible – in post offices, for example. Here too, DocuWare delivers all documents automatically indexed, separated into single pages and sorted into the correct archive. Desktop Scanner. Control the desktop scanner for occasional document capture with the handy DocuWare Scan App. Save the scanned documents directly to the responsible employee's document tray or store them in an archive. Smartphone. Take a picture from individual pages. Especially on business trips, your mobile phone turns out as a really useful pocket scanner. The mobile PaperScan app crops the scans as needed and uploads them to DocuWare. The receipts go directly to the finance department and are quickly reimbursed. Automatically add an electronic signature to scans to ensure authenticity. No more documents get lost in circulation or remain on an employee desk. Each type of scanner can be seamlessly integrated into DocuWare. Indexing can be carried out automatically; manual entries are not necessary. The scan functions are part of every DocuWare Cloud license. DocuWare Cloud also includes Intelligent Indexing, Workflow Manager, Forms and many other useful features for you. If you are using DocuWare as a locally installed system, the basic functions for scanning, importing and indexing documents are available with every server license. For more functions such as separation by page number or indexing with document text, you additionally DocuWare Import and Barcode & Forms licenses. Intelligent Indexing can be licensed as a web-based service or as a standalone module within your data center.